Sometimes making a 'Thinking of you' card is a bit tricky to make. I often find depending on the situation that soft colours work better. To make the card base I cut a piece of Baby Pink Plain Card 240gsm in half (vertically) and scored the middle and folded this in half. I then cut down a piece of Ivory Card Hammered 255gsm to make my card front. 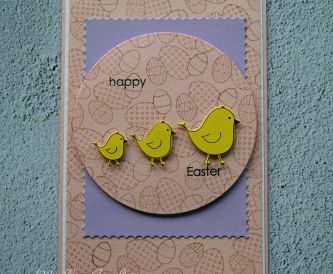 I adhered this to my card base using Stick it! Double Sided Tape 6mm. I then die cut a scallop using a piece of Fleck Kraft Card 250gsm. I then heat embossed my sentiment onto the die using white embossing powder and placed this in the center of my card. I then stamped my images and heat embossed them onto a piece of White Card Super Smooth 300gsm. After this step I water coloured the images. You will need to heat emboss your images to make sure that there is no ink that has run while you add your water colour. I also use my heat gun to dry the images. 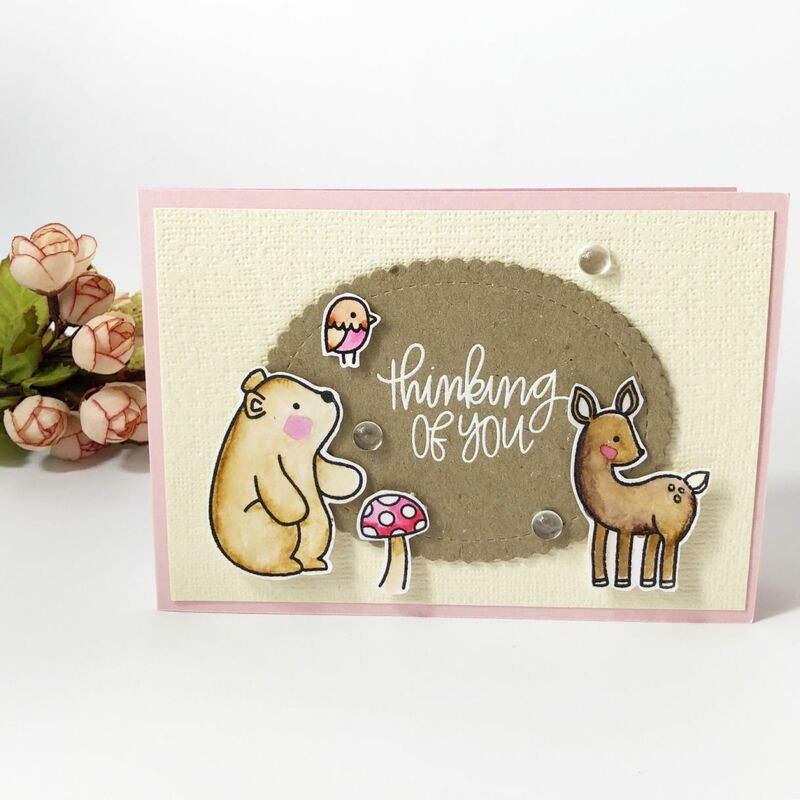 Once dry I cut the images out and placed then onto my card front using some Stick it! 3D Foam Squares (940 pcs). The last step is to add your sequins or gems. I always use Anita’s PVA Tacky Glue 60ml to stick down any embellishments. Your card is now complete. I hope you have fun making your cards.